Designer Tess Giberson’s pieces have always toed the line between sturdy craftsmanship and uncomplicated cool. 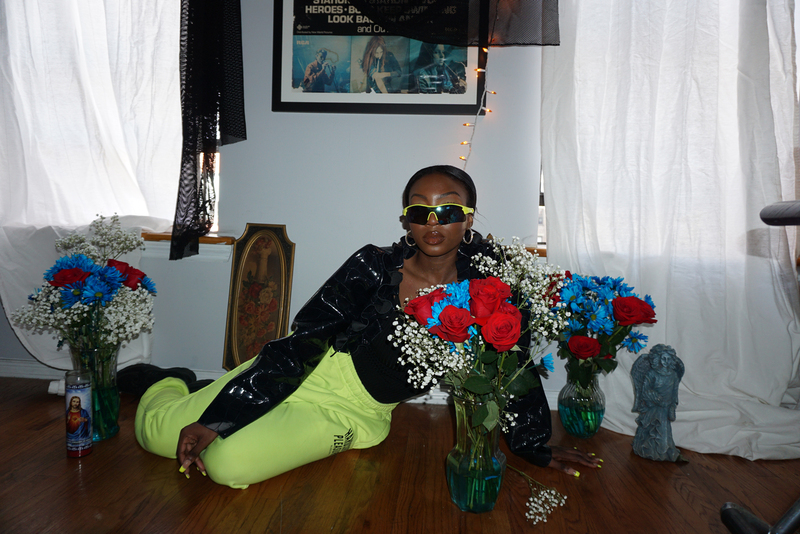 She’s collaborated with artists, musicians (including Kim Gordon), and filmmakers to showcase and present her looks, constantly expanding and reworking her concepts. Now, Giberson’s been pulled in as the designer for 6th & Lane, plus-size brand Lane Bryant’s newly revamped line. With Giberson’s touch, 6th & Lane–now targeted to a more youthful market–is seasonless, modern, and easy, each piece meant to effortlessly blend into a woman’s personal style and wardrobe (and still reflecting Giberson’s deconstructed aesthetic). It’s real girl-crush material. A new capsule will launch each month, pieces are priced at $24 to $149 and, starting in November, they’ll have a new starting size of 10. 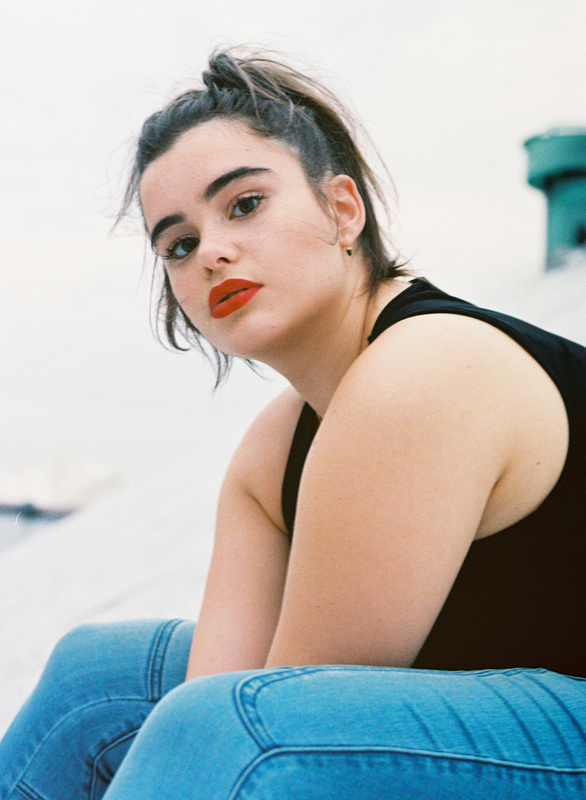 Below, our interview with Giberson, plus snaps from the lookbook, shot by Mayan Toledano, styled by Julia Baylis (both of Me and You), and featuring two of our favorites, Barbie Ferreira and Lulu. I saw the potential of... breaking through old “rules” about size, beauty, and what a woman should or shouldn’t wear. Can you tell me about your own personal background in the fashion world? 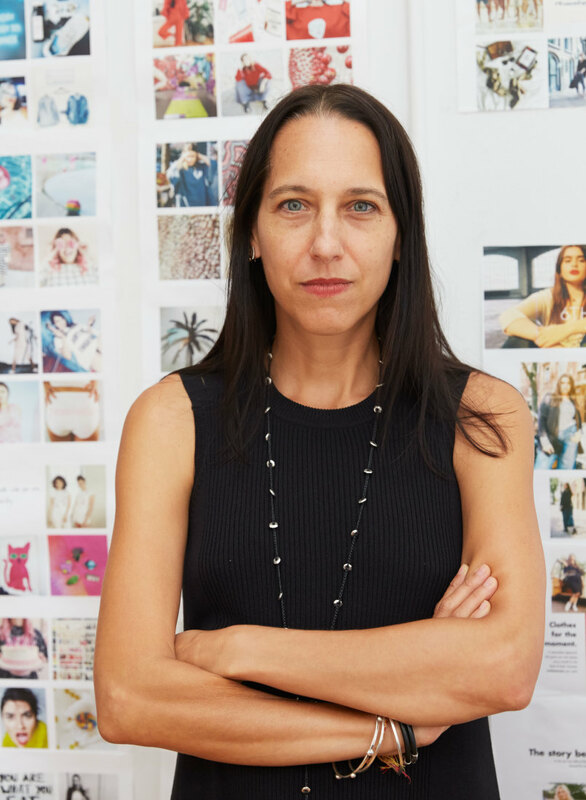 I’ve worked in the fashion industry for twenty years now, which is crazy to think about! I started at Calvin Klein designing sweaters for the Men’s Collection. After that, I worked with KCD doing show production before launching my original label in 2001. The collection was handmade and a mix of concept-based performance and limited edition clothing. It was an amazing experience, but also incredibly labor intensive and was burning me out as the business grew. When I had my son in 2005, I needed a break and took a position at TSE as the Creative Director. At this point I began to really establish my design sensibility. I re-launched the collection in the fall of 2010, this time with partners and a focus on building a business concept along with developing the collection. We opened a store on Crosby Street in 2011. The collection and business grew and we were in great stores, which was incredibly rewarding. But there are also huge challenges that go along with being an independent designer and trying to compete with larger companies with more resources. At a certain point, it feels like being on a hamster wheel. Over the last year, I did a lot of thinking about what I want to say as a designer and decided to pause and experiment with new ideas. We closed our store and turned it into a group collective of women designers who’ll be selling their own collections—and we’re making limited editions of our favorite pieces. Through all the changes, one of the most exciting parts is working on launching 6th & Lane. For several years, I’ve been wanting to expand into a mass market brand and reach more people, and this came together very organically. 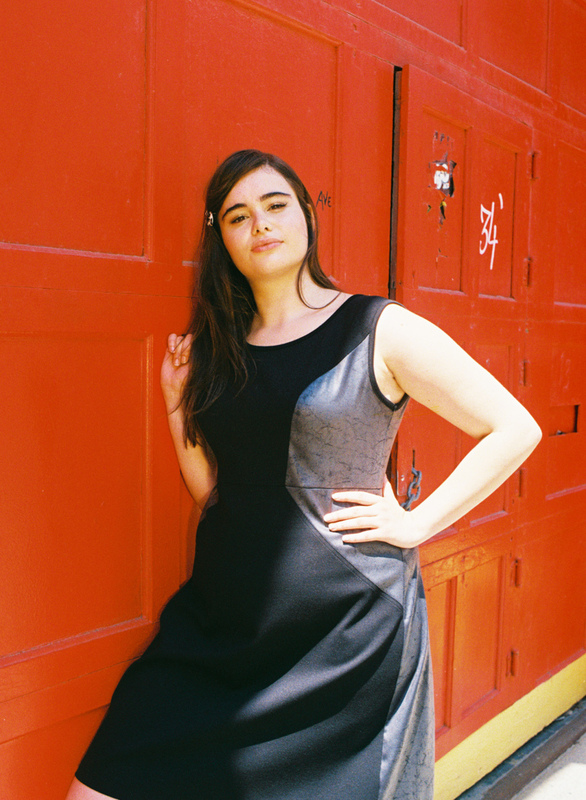 How did the collaboration with Lane Bryant come together? Last fall I met with Linda Heasley, the CEO of Lane Bryant. I immediately connected with what the company was doing. Most important was their core message to empower women and celebrate individuality, which is what I’ve always held as my driving inspiration. I was aware of the Lane Bryant campaigns—“#I’m no angel” and “#plus is equal”—before the meeting, but through our conversation that day, I saw this was a special opportunity to do something impactful on a greater level. I saw the potential of bringing a designer sensibility to a mass-market audience and breaking through old “rules” about size, beauty, and what a woman should or shouldn’t wear. Who is 6th & Lane for? 6th & Lane is a collection under Lane Bryant. It’s designed for a younger customer. She knows her own style and is confident in herself. She is looking for cool, effortless pieces that give her options and choices to play with. 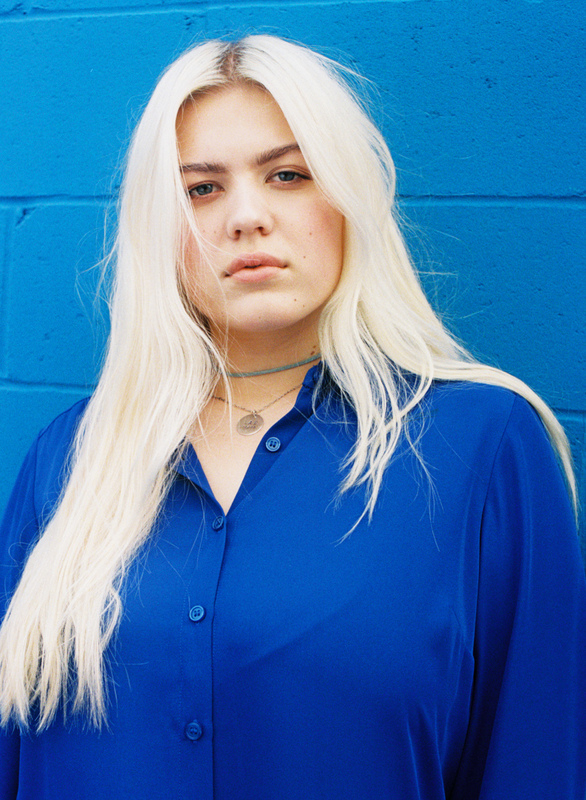 She loves fashion, wants to have fun dressing, and is still experimenting with clothing as a form of self-expression. Before I began the first collection, I spent time researching to define who the 6th & Lane girl was so I could design for her in a more honest way. I created a mock Instagram to pull together influences and create a sort of visual language behind the brand. I also met with real girls and young women who are vocal in the conversation about body empowerment and a voice of the younger generation. They are all unique and have their own style, but what they share is an amazing confidence. They are cool, creative, magnetic, and relatable. I can honestly say I hadn’t been so inspired in years as I was starting the new line. It’s obvious, but can you tell me why this is important? How can girls use 6th and Lane to express their individuality? It’s exciting to see so many recent articles on inclusivity and body positivity—however, there still aren’t enough brands actually speaking to the younger woman in terms of relatable images and clothing she wants to wear. This is a huge miss—and this is where I see 6th & Lane fitting. My focus is designing great pieces I love, that are both effortless and designed with the same thought to detail I gave my own collection. 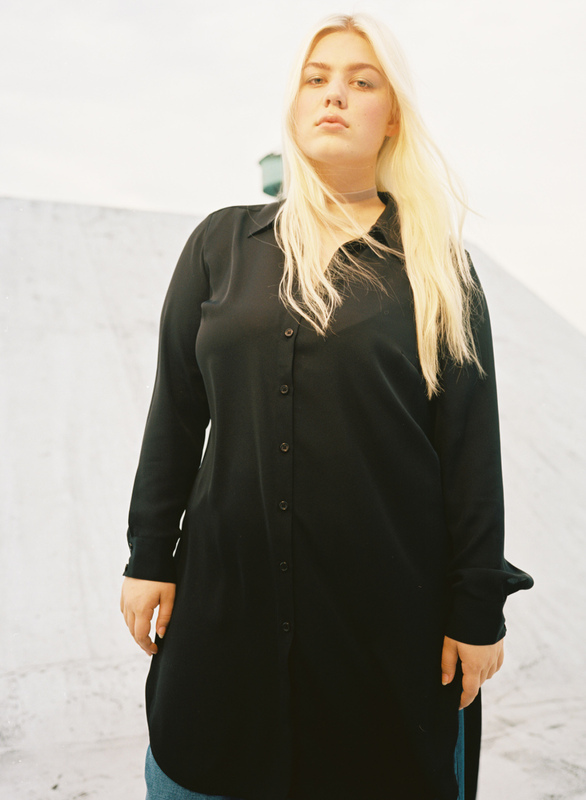 Along with the clothing, though, is creating the storytelling through imagery of young women who are beautiful and cool and where size isn’t a factor. We are doing a soft launch now, and then have some really exciting plans with collaborations and a pop-up planned for February. In what way does this line reflect your own personal ideas and aesthetic? I’m bringing a lot of my personal aesthetic into the collection: signature details such as piecing, mixes of deconstruction with refined, detailed knitwear, and hand-drawn graphics—things I’ve always gravitated toward. The biggest change for me is the age of the customer and creating mini collections each month, rather than three seasons a year. The design principles are the same, though—a clear story to center each month, a mix and contrast of texture in the fabrications, plays on proportions, balance in each piece. Tell me about collaborating with Mayan and Julia. Through my initial research, I came across Mayan and Julia’s line, Me & You, and started to follow their Instagrams. Their message is very much about empowerment, and they also work with girls of many sizes. They represent a very cool image of beauty. I first reached out to talk about collaborating on tee shirts that would coincide with the pop up we’re doing, but through talking, I realized they would be perfect to work with on the photography and styling for the first shoot. It is super important to me that the people I choose to collaborate with speak to the same message of empowerment. I want to keep a genuine conversation going.